The 250GT Ferrari must surely represent the ultimate in modern high-speed sporting travel, or GT competition and holds today a position rather similar to the Bugatti 57SC of 1939," said Motor Sport, March 1963, in an article by K. H. Miska describing the development of the 250GT Ferrari. 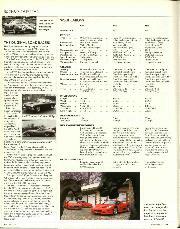 The respected American magazine Sports Car Illustrated describes the 250GT short wheelbase lightweight Berlinetta as "an automobile of absolute top class, the finest genuine sports car we have ever driven," in their road test of October 1960. 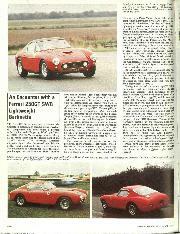 Such eulogy was not without justification, for the 3-litre, V12 250GT Berlinetta dominated the 2,000 CC. to 3,000 CC. class in international GT racing from 1960 to 1962, when its competitiveness was usurped by the even more potent 250GTO. To exemplify, in its first year of competition, 1960, this roadgoing racer picked up 1st overall in the Tourist Trophy (Moss, in chassis No.2199, who repeated the model's success the following year in chassis no. 2735), the Coppa Inter-Europa at Monza (Abate in chassis no. 1999), the Tour De France, (Mairesse/Berger, chassis no. 2129), the Montlhery 1,000 ks. (Bianchi/Gendebien, chassis no. 2149), at Nassau (Moss, in 2119 again), not to mention fourth overall and first GT at Le Mans (Tavano/Dumay, 2001). The precursor of all this success was the prototype, short wheelbase, lightweight 250GT Berlinetta, chassis number 1539GT, built and developed between August and October 1959 in time to cause a stir on the Ferrari stand at the October 1959 Paris Motor Show. Like all the competition lightweight SWB cars, 1539GT was panelled in aluminium, the first of about lightweight versions out of a total of 152 SWB 250GTs, the "street car" versions of which were skinned mainly in steel. After the Paris Show and further development work at Modena, on March 4th, 1960, 1539GT was shipped to the USA, into the ownership of a G. Pilkington. 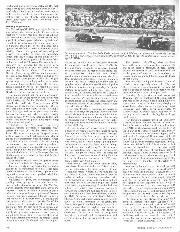 On March 26th, 1960, this first of a noble line finished sixth overall in the Sebring 12 hour race, entered by NART and driven by Sturgis and D'Orey. One of 1539GTs early offspring, chassis number 1786GT, owned by Charlie Kreisler and driven by Hugus and Pabst, finished fourth overall in this classic 12 hour race, the winner of which was the Gendebien/Herrmann Porsche RS60. 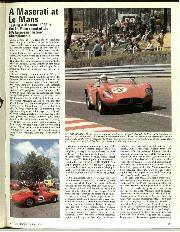 It was Kreisler's 250GT which Sports Car Illustrated road tested after the event. At Sebring, the 250GTs were compelled to run in the prototype class. 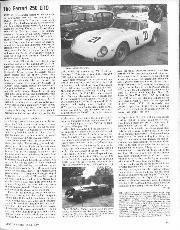 Homologation as a GT car was validated on June 16th, 1960, in time for Le Mans. The homologation papers, including photographs, were based upon that very first SWB lightweight, 1539GT. Today, fourteen of the extant 250GT SWB Berlinettas reside in Britain, of which six are lightweight versions. And adjudged by the Ferrari Owners' Club to be the best of them all is that first of the line, 1539GT, which won last year's FOC Concours outright and this year was placed second overall and best 250GT. Its owner is Vic Norman, a young man who has little time for purpose-maintained concours cars; thus 1539GT covers some 1,500 road miles a year and is also sprinted and raced, the only regularly raced car in the Champions' (i.e. Class Winners') category of the FOC Concours. Thanks to Vic Norman's disbelief in the museum-piece syndrome, I was able recently to achieve a long-standing ambition fostered by vivid memories of Moss in the dark-blue Rob Walker 250GT to drive one of these fast and handsome thoroughbreds. Vic's generosity allowed me some three hours on the road and a few laps of Thruxton circuit in atrociously wet conditions, in which I would have had grave doubts about letting loose anybody in the long-term test Mazda Hatchback, let alone a £30,000 plus classic Ferrari! In the late '40s and early '50s Enzo Ferrari regarded touring cars as very much a secondary string to his racing car bow. Until evolution brought about the 250GT, of which varied model range the SWB lightweight Berlinetta represented the performance peak of its day, and assembly line production, Ferrari touring cars were built on a tiny scale, with a variety of fixed-head and open bodies. The 250GTs lineage began with the 166 Inter model of 1948/49, powered by the Colombo-designed 110 b.h.p. V12 of 60.0 x 58.8 mm. and 1,995 cc. The same stroke was retained right through to the 250GT Berlinetta. The Tipo 195 Inter succeeded the 166. 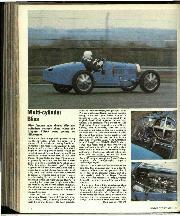 Essentially the car was the same but the bore was increased to give a displacement of 2,341 cc. Power output was increased to 130 b.h.p. at the same figure of 6,000 r.p.m. The Tipo 212 Inter model introduced in 1952 had its engine's bore increased to 68 mm., its displacement to 2,562 cc. This unit gave 170 b.h.p. at 6,500 r.p.rn. on three Weber 30 DCF twin-choke carburettors. Ferrari produced a shorter wheelbase (7 ft. 4 1/2in.) 212, known as the 212 Export, in unison with the 212 Inter. Early versions had 150 b.h.p. single carburettor engines, later ones were endowed with triple Webers and 170 b.h.p., with competition in mind. The Commendatore's next move was to increase engine capacity to 3-litres in the Tipo 250 Export which was to pave the way to the 250GT Berlinetta. However, rather than use the original Colombo-designed 12-cylinder engine as a basis, he used a linered-down version of the Lampredi-designed 4.1-litre engine from the Tipo 342 America, one of the larger range of Ferrari touring cars. With an exactly square, 68 mm. configuration, this new engine had a capacity of 2,963 cc. and gave 220 b.h.p. at 7,000 r.p.m. on three 36 DCF Webers. The Export retained a five-speed gearbox. The 250 Europa of 1953-55 came a step closer to series production of Ferraris. Two models were produced. One retained the less satisfactory 3-litre Lampredi engine, with the same power output as the Export, but mated to a four-speed gearbox developed for sports car use. It had a particularly long, 9 ft.. 2 1/4 in. wheelbase. Built on essentially the same chassis, but with a wheelbase of 8 ft. 6 3/8 in. was the Tipo 250 Europa with a 73mm X 58.8 mm. 2,953 cc. Colombo engine, which produced 220 b.h.p. at 7,000 r.p.m., identical to the Lampredi engine output. It too had a four-speed gearbox with Porsche synchromesh. Instead of employing a transverse of spring in the double-wishbone front suspension, this Europa adopted coil springs, but it retained the live axle with semi-elliptic leaf springs and radius arms. Gendebien and Stasse took one to third place in the 1956 Liege-Rome-Liege Rally. Lightweight versions of this 250GT Europa were made instantly competitive by a change in FIA regulations in the aftermath of the 1955 Le Mans disaster. The regulations opened the way for road going sports cars, which the new Berlinetta (coupe)-bodied Ferrari celebrated by dominating, the Tour De France. For 1959, Ferrari engineer Giotto Bizzarini designed the 250GT short wheelbase Berlinetta as a successor to the ageing, long wheelbase Tour De France-type car. Firstly, though, some half— dozen Interim Berlinettas were built using the new Pinin Farina short wheelbase styling on the LWB chassis. The new short wheelbase car, illustrated to the public for the first time by Vic Norman's car at the 1959 Paris Motor Show, was quite radically improved. Firstly, the wheelbase of the traditional welded tubular chassis was reduced from 102 3/8 in. to 94.5 in. The 2,953 cc. Colombo V12 engine adopted the cylinder head developed for the 1958 Testa Rossa sports racing car, which had six separate induction ports instead of three siamesed ones, the spark plugs moved from the insides of the vee to the outer, exhaust sides, and coil valve springs instead of hairpin springs. Dunlop disc brakes all round replaced the previous drums. (Most historians credit Norman's car, 1539GT, with having drum brakes originally, changed to discs immediately prior to the Paris Show. Photostats of the original Ferrari build-sheet for the car, shown to me by Norman, reveal that it always had discs.) Tubular shock-absorbers replaced the lever-type of earlier cars. Only one other 250GT SWB Berlinetta was built in 1959, numbered 1613GT. These two cars were both aluminium-bodied lightweight competition cars, with coachwork built by Scaglietti, as were all the first 22 of the breed. The first of the steel road cars (which mostly had aluminium doors, bonnet and boot lid) was 1933GT. The first handful of cars lacked the later characteristic vents in the front and rear wings. The rest of the production run was a mish-mash of varying detail fittings, mostly inconsistent with chassis number logic: things like Wind-up or sliding perspex side windows, the introduction of opening front quarterlights and amber repeater lights of two different designs on the front wings. The last and most prolific version had a more horizontal top to the side windows and a larger rear window. A roof vent appeared in late 1960. At this point there is no sense in my rattling on further about generalised details of the model, when even Ferrari experts find it difficult to be accurate. I return instead to 1539GT, which can be described specifically. After a brief sojourn in the States, this car was bought by Brian Naylor and registered by him in Britain as TJA 336 in 1961. Norman is unsure whether Naylor raced the car or not (in 1961 Naylor was racing the JBW Maserati in non-championship F1 races). Subsequently it passed to Heathcote-Drury and thence to David Piper, from whom Vic Norman bought it in 1973. Vic re-registered it KUU 1, his late father's cherished number (acquired on a Bentley, which marque Norman Snr. ran in unison with Ferraris). Can anybody throw further light on this Ferrari's earlier history? Whatever, the car was remarkably original and complete when Norman acquired it. Alas, though driveable it was in a fairly sad state and in need of a comprehensive "seeing-to'. David Clark had recently formed Graypaul Motors at Shepshed, Leicestershire, and 1539GT became the first Ferrari to undergo a complete rebuild in the hands of this Ferrari specialist. Robert Houghton was in charge of the work for Clark. By sheer coincidence, on the day of my test drive Houghton arrived at Norman's home north of Cirencester to join forces with Norman in a company called Rosso Racing, which will specialise in the rebuilding and preparation of Ferraris and other high performance racing and road cars. Norman reflects ruefully that the rebuild cost him over £9,000 in 1973, when labour charges were less than half today's. The cost is reflected in the unsurpassable result, however, which remains breathtakingly perfect four years later. A further £1,200 went into rebuilding the rear axle - untouched during the restoration - at a later date. Ferrari restoration is certainly not a job for the impecunious to tackle! In spite of the scope of the rebuild, 1539GT is Far from being a refabricated replica. The only parts of the original aluminium bodywork which had to be renewed were the door skirts. Snipping the car revealed no evidence of serious accident damage and that the body is almost exactly as it stood on the Paris Show stand would appear to be confirmed by the subtly longer nose, reminiscent of the Testa Rossa, believed unique to 1539GT. Accurate comparison can be made with copies of the original homologation photographs and the 1959 Ferrari Year Book, both of which were presented to Norman on a visit to the Ferrari factory. The detail use of aluminium in this prototype is carried further than in later cars, even down to polished alloy window frames, guttering and front and rear window surrounds, all of which have survived. Graypaul Motors renewed the wind-up Perspex side-windows and contrived to make a new, curved rear window in Perspex by building up wooden formers and "cooking" the Perspex in an oven. The only exterior alteration was to fit the later, rectangular brake air scoops in the front wings, in place of the squarer originals. Norman runs the car without bumpers the state in which most 250GTs were raced to enhance its beautiful lines. Most SWB Berlinettas carry four big "Snap Extractors" said to be worth 2 m.p.h. at the top and on their exhaust pipes, as did 1539GT after the rebuild. Recently Norman discovered that his car was built with four straight pipes, which it has now re-acquired for authenticity. Carello headlamps project forward vulnerably from that thrusting, eager nose, supported by Marchal driving lamps. The final, and essential gilding to this masterpiece: a wrapping of diamond-surfaced Ferrari red cellulose of rarely-seen quality. The Ferrari "stickers" on the flanks are authentic enough and seen on many a racing 250GT in their day, but they spoil the purity a little bit in my eyes. The heart of any Ferrari and particularly the SWB Berlinetta is the Colombo-designed V12 engine, undoubtedly one of the finest automotive power units ever built. It is also where a fair slice of Norman's rebuild money went! Bob Houghton rebuilt it as new around a new crankshaft (the original was found to be cracked). New wet liners in the alloy block and new pistons kept the capacity to the standard 2,953 c.c., the camshafts (one overhead per bank) were reground and valves and all other wearing parts renewed. That may sound a fairly straightforward job, but consider the specification of this wet-sump engine. The machined steel crankshaft runs in seven main bearings, one each end, the rest splitting pairs of the twelve connecting rods. A gear-type oil pump is driven off the front of the crank and the cast alloy sump holds nine litres of oil. The two overhead camshafts are driven by triple chains. Very short rockers actuate the twenty-four valves and the end in contact with the cam is a roller follower. Each bank has its own Marelli distributor, at the rear. Three twin-choke, downdraught Weber carburetters sit within the one formed by the two crackle-back cam covers, their intakes within a polished aluminium plenum chamber which seals around the air scoop in the bonnet for ram effect. This basic description pertains to nearly all the SWB Berlinettas (a few special ones may have had different carburetter arrangements). 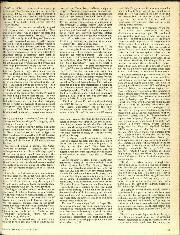 The standard road engine gave about 260 b.h.p. at 7,000 r.p.m. (the concurrent LWB 250GT engine gave 240 b.h.p.) the competition engine more than 280 b.h.p. at 7,000 r.p.m. The competition engine carried bigger valves, different camshafts and larger Webers. Most references cite the road engine as having triple Weber 38 carburetters; Robert Houghton, who has worked on many, has yet to see one on anything other than 36s. However, 38s, 40s and 42s are homologated, the last ones not being used. Eighteen lightweight racers built late-in the run, nicknamed "SEFAC Hot-Rods", carried triple 46s. The standard road engines were designated Type 128F, the competition engines in the lightweights Type 168. 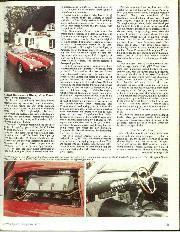 Hans Tanner in Ferrari (Foulis, Fourth Edition, 1974), says that Type 168 signified the later GTO's engine type and that "we have observed one late SWB whose engine was stamped Type 168". Norman's car, as the first of the line, refutes this. The build-sheet shows that a type 168 engine was fitted in September 1959 and it is this competition engine which remains in the car to this day. It has big valves and triple, down draught, twin-choke Weber 40DCL6 carburettors, rebuilt by Alan Southon of Phegre Engineering. These are served by a belt-and-braces fuel system of a mechanical pump and an electric pump. The drive is taken through a single-plate Fichtel and Sachs clutch to a four-speed gearbox with Porsche-type synchromesh on all forward gears. Ratios on this early, ribbed-case, competition box are 2.64, 1.70, 1.26 and 1.00:1. Seven final drive ratios are available: 1539GT was built originally, and ran at Sebring with, a 4.25:1 ratio, the next to the lowest, and now has a 3.55:1 ratio, the next to the highest. There is a ZF limited-slip differential. The tubular, welded chassis, which carries a space-frame-like superstructure at the front, was in good order, but was generally refurbished. The wishbone and coil spring front suspension, with anti-roll bar, and the live-axle, leaf sprung rear end, with radius arms, were rebushed. Those coil springs proved re-usable, but the leaf springs had to be re-tempered. Koni dampers were fitted all round. There is one major departure from the 1959 Paris Show car specification: part of Graypaul Motors' restoration included the difficult task of conversion to right hand drive. Fortunately the mechanical parts necessary, including the high ratio steering box, were available from Ferrari. A crackle-black facia wasn't and an exact replica had to be hand made. So far as I am aware, this makes 1539GT one of only three right hand drive lightweights, the other two being Moss' Rob Walker cars. The Ferrari 250GT SWB lightweight Berlinetta was perhaps the finest example of a car built to meet the versatility requirements of the GT racing regulations of its day, thanks to the wide spread of unfussed power which 12 cylinders afforded. A fast, ultra-competitive and superlatively handling car on the circuit, it needed but a lighter throttle foot to make it amenable to road driving. Even three years' of ownership of 1539GT have failed to blunt the fascination which this double-edged charm holds for Vic Norman, and it was to prove this for myself that he had me head for Thruxton. He proves the fact regularly: for instance he has driven it to Belgium in each of the last two seasons to compete in the Ferrari Owners' Club races at Nivelles. This year 1539GT was the highest placed British car. Norman's versatile raring driver friend Chris Craft placed it fifth on the grid against a 512, a 312, a P3/4 and other desirable Ferraris at Thruxton last season. The day after coming second overall in this year's FOC Concours, this pristine machine won its class in a Goodwood sprint, Norman at the helm. Norman points out that the later, more powerful 250GTO is far less happy in such a dual role, much fussier, less flexible. He should know: he owned the ex-Ecurie Francorchamps GTO, chassis no. 3757, third at Le Mans in 1962, at the same time as this 250GT SWB. He said it some time ago, and, to my great envy, another famous Le Mans car, the ex-Ecurie Ecosse Jaguar D-type, MWS 302, sister car to the 1956 winner, has taken its place in his stable along with a Maserati 300S. I had driven this SWB Ferrari very briefly around Fairford aerodrome's perimeter roads earlier this year, on the day Derek Bell and Robert Horne were attempting UK speed records with a Ferrari 512, so I had some idea of what to expect. First impressions were of a cockpit which is not that of a spartan racer. The hip-hugging bucket seats, centre console and door panels and pockets are leather-trimmed, as they always have been, though now they are black instead of the impractical white of the Paris Show specification. Quality grey carpet covers the floor and the shelf behind the seats. Such niceties deceive. Turn the ignition key in the centre of the facia 180 degrees, push it in, for it doubles cleverly as the starter button, and a cacophony of mechanical melodies issues from under the bonnet as 12-cylinders, triple row timing chains, twin cams and 24-valves whirl into frantic, glorious action. We started off gently out of Norman's steep, winding drive, giving all that machinery and litres of oil a chance to warm up. The V 12 had started instantly from said after a few jabs on the throttle there is no choke. A couple of gentle miles and a stop to dump to gallons of five-star through that huge recessed filler cap into the tank which, with the spare wheel, all-but fills the boot, gave me the chance to get the feel of this eighteen-year-old thoroughbred. It is dated by its driving position: the seat back rest is upright and fixed, the huge and beautiful wood-rimmed wheel, with prancing horse on the horn push, is angled away from the driver so that the top of the rim is a stretch away when the bottom is close to one's stomach. Clutch and brake pedals push almost horizontally into the floor, complemented by an organ throttle pedal placed ideally for heel-and-toeing. Visibility is excellent through the deep screen and the high roof line affords lofty spaciousness. Soup-bowl size Veglia speedometer and tachometer dominate the facia from cowls behind the wheel. Those 41,000 miles on the 180 m.p.h. speedometer may well be genuine, at least since this 250GT was shipped to the States in 1960, when presumably the m.p.h. instrument replaced a k.p.h. one. Fuel, water temperature, oil temperature. and even a clock lie in a row in the facia centre. Norman had the new facia made to 1961 specification, in which the oil pressure gauge lies between the speedometer and tachometer instead of the original obscure position with the auxiliaries. How road drivers, let alone racing drivers in the heat of battle, were expected to, find their way around the row of unmarked turn-switches under the facia only the designer knows. I had to rely on passenger/owner Norman to sort out lights and wipers as the weather closed down, and even he had difficulty. As we headed off cross country towards Thruxton we began to regret the choice of racing tyres for our exercise. The L section Dunlops, 600 x 15 in on the front, 650 x 15 in. on the rear, all on sparkling 6 in Borrani alloy-rimmed wire wheels, had us "white-lining", pulling down the camber and jumping from bump to bump. Normal road wear is 185 x 15 Pirelli Cinturatos on 5 in. wide front and 5 in. rear Borranis, but Vic had thought we should shoe the beast for Thruxton. He has another set of racing Dunlops on 16 in diameter Borranis; the SWB was homologated with both diameters. Fortunately, there is So much more to enjoy than chassis behaviour in this car. 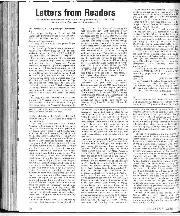 It is all related to the inter-action between foot, right-hand treadle and triple Webers. Stroke that throttle and there is instant, smooth obedience from the twelve cylinders, containing themselves with velvet manners in traffic. Poke the throttle hard in the right gear and the world erupts into violent acceleration, a glorious song of mechanical turbulence and intake roar booming backwards through the lightweight bulkhead to mix in one's ears with the howl from four exhausts, a motoring Halle Orchestra, an enthusiast's Hallelujah Chorus. As the tachometer needle swings towards the 7,500 r.p.m. maximum in the gears, this Ferrari jabs you in the back incessantly, as if to make the point that even eighteen years on there are few road cars so quick, even fewer so charismatic. Pushed to its limit on the present final drive, it would reach its crescendo at well over 150 m.p.h., but the joy would be in getting there. The massive, palm-filling, alloy gear-lever knob reflects the tough, masculine command the four-speed gearbox demands. It needs strong, positive movements to shift its heavyweight innards, plenty of revs on the down-change to avoid crunching, and full depression of the heavy abrupt clutch. The servo-less Dunlap disc brakes too demand muscle power, especially when cold. They are effective with 11 1/2 stones applied to the pedal, but this is one area in which most modern very high performance cars have the upper hand. Pottering through villages and towns like Devizes, 1539GT emphasised the dual role of this road-racer. It would burble along happily at 1500 r.p.m. in top or third, valiantly obeying the speed limits which its very appearance makes ludicrous, and settle down comfortably at tickover speed at traffic lights. Plug sooting or wetting is unknown in this highly-tuned, yet docile engine. Our Thruxton exercise turned out to be almost a waste of time. Michael Eastick, of Scorpion Racing School. who had the circuit on hire from the BARC for the day, had kindly agreed to let us use it during the school's lunch break. But the circuit was awash and extremely slippery and it and the hard compound Dunlop racers failed to mix. I had some very sideways moments, to which the accurate steering responded quickly, before the BARC's Sid Offord called a halt because he considered the car too noisy; relationships with some of the locals are still delicate. I found it hard to credit that a car fitted with the road silencers which were designed for it would be declared unwelcome on a racing circuit, but was secretly thankful for the relief from responsibility. Another 1 1/2 hour drive on the road provided solace. As grew More used to the car, the more I began to enjoy its handling, although the conditions and the tyres wouldn't allow too much adventurousness. It is extremely well balanced and the roll which is apparent from action photographs is less apparent inside, though it does delay response from one cornering attitude to another. The steering is smooth and responsive with a modest amount of self-centering I should imagine that on the right tyres in the dry one could take extraordinary liberties with it. The thing which will always stick in my mind about this Ferrari is the engine, capable of sheer brutishness when requested, with all of its 280 b.h.p., perfectly restored by Houghton, working well, or at the other extreme, capable of kid-glove behaviour. The Ferrari 250GT SWB lightweight Berlinetta reflects the versatile best from a memorable era of motor racing, an exciting sports car of great character. C.R.